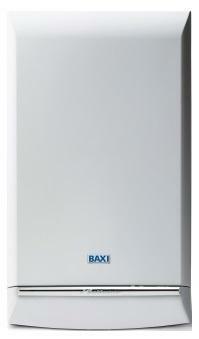 The Megaflo System 24 Gas Boiler is a system boiler by Baxi that you can mount to the wall. Coming in the output of 24kW it has an efficiency rating of 88.6% making it rated B for heat. The megaflo is perfect for homes with high demand on hot water and have more than one bathroom. This boiler is compatible with many different options such as the megaflo eco hot water storage cylinder and solar cylinder as well as being compatible with Baxi solarflo solar thermal - giving you the opportunity to save money on your annual energy bills. The Megaflo comes with a pre-plumbing jig a pre-formed copper pipe tails built in filling loop 1 metre mains cable to help you save time and money as well as making it quick to install. It also comes with front access to all components for straightforward servicing. This boiler is available in many different outputs such as the 15kW, 18kW, 24kW, 28kW, and 32kW making the megaflo perfect for a wide range of homes and needs.